Fuji Xerox Company distributes Fuji Xerox and Xerox Corporation products and services to Asia such as Japan, Australia, Korea, Taiwan, the Philippines, Thailand, New Zealand, Singapore, Malaysia and Vietnam. GHC media ’s competitive advantage is strengthened by its status as a Fuji Xerox Accredited Partner and it is the first firm in Malaysia to be certified under the Fuji Xerox 1to1 Ignite Agency Programme. XMPie software enables integrated highly effective 1to1 cross-media marketing campaigns. 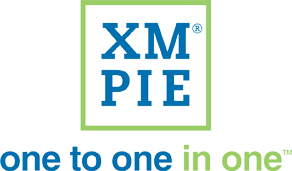 XMPie has taken another major step to integrate the world of publishing and marketing and provides more value-services to print providers and better measurement and ROI reporting capabilities to marketing executives. When the cosmetic company Clinique wanted to engage its top 2,000 customers in Malaysia, they turned to GHC Media who created a personalized direct marketing campaign using XMPie technology.